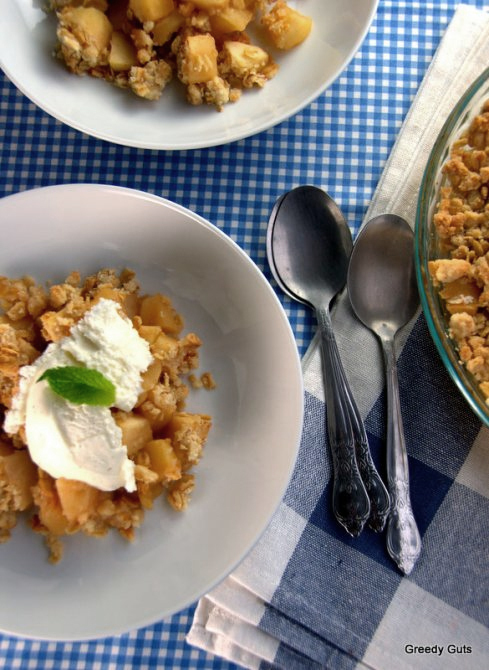 You really can’t go wrong with apple crumble for dessert. It really does seem to be a crowd favourite and one that doesn’t take much effort at all. I was surprised at just how quick and easy this recipe was. As a bonus, I had most the ingredients already at home so all I really needed to get was some apples, which conveniently are in season at the moment. I chose two different varieties of apples so that I could get a more complex taste, however, I’m not sure how noticeable that was in the final result. Oh well! I also added some cinnamon to the apple mixture and also to the crumbling topping. I am surprised that Jamie left it out as I think cinnamon is a key ingredient for baking with apples. 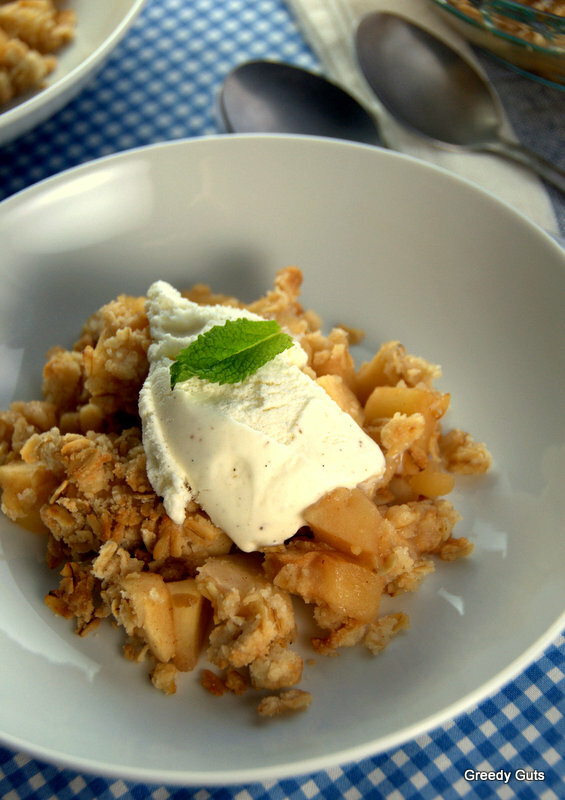 This dessert is sure to impress and will make people think that you are an awesome cook! And who doesn’t like that?? The Jamie’s recipe can be found here. Having people over for dinner tonight going to make this dessert will report back.